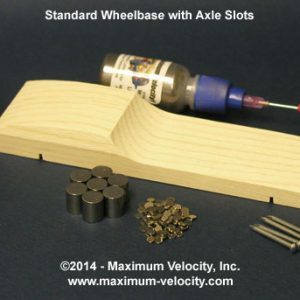 A high-quality, low-priced basic car kit including a block with axle slots, MV Precision Wheels, MV Speed Axles, and instructions. This kit can used in any race not requiring a specific kit type. 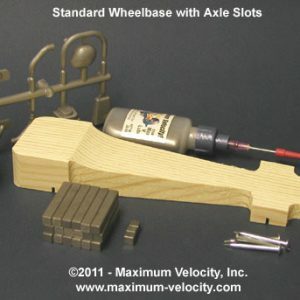 With MV Precision Wheels and Speed Axles! 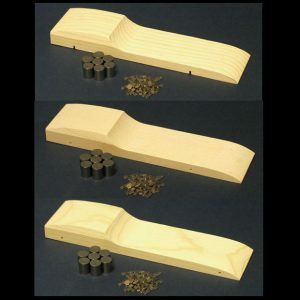 Quality Block – Unlike the blocks provided by some organizations, our blocks are soft, kiln-dried, northwestern pine blocks, cut precisely to 7 inches long, 1-3/4 inches wide, and 1-1/4 inches tall. These dimensions, as well as the axle slot placement (4-3/8 inches between slots), accurately duplicate the dimensions of the BSA block. 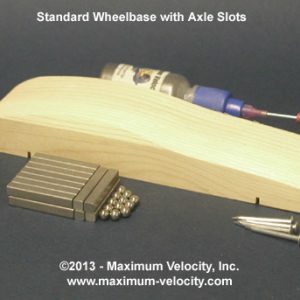 Simple Axle Preparation – Don’t worry about filing off flaws, or losing hub caps. Our axles have no burrs or crimp marks, and install without hub caps. You can use them as is, or lightly polish them with a metal polish. We supply five, so you have a spare. Quality Wheels – Forget cheap, out of round wheels. 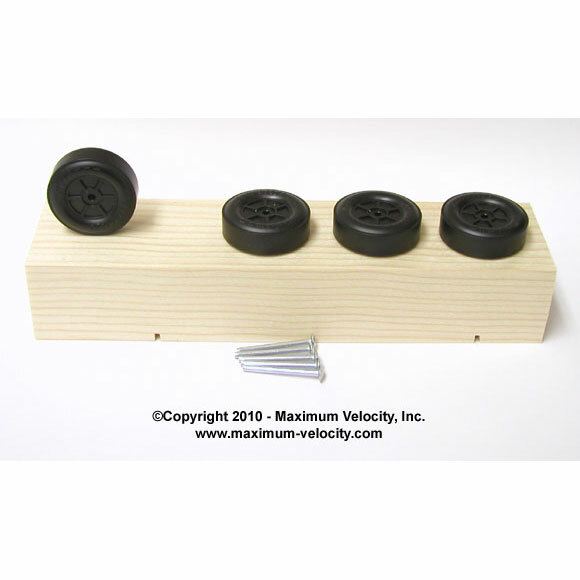 We supply precision-molded wheels that are custom made for Maximum Velocity. We guarantee that you will not be disappointed with the quality of these wheels. Great Price – You won’t pay a high price, as our attractive price is further discounted when kits are purchased by the dozen. Get a 10% discount when purchased by the dozen. Our bulk 12 pack contains 12 wood blocks, 49 wheels (one spare), 60 axles (one spare axle per kit), 12 instruction sheets, and 12 bags. Simply, package the kits and distribute. Our kit can be used in any race that does not require a specific kit type. This includes races sponsored by Awana, YMCA, and other children’s organizations, as well as corporate, neighborhood, or community races.